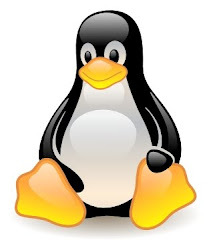 It consists of an optional custom Linux kernel and command-line tools (mainly vzctl). In this post I'll demonstrate how to install, configure and run an OpenVZ container, bridged to the outside world. Before we can create virtual machines with OpenVZ, we need to have a template for the distribution that we want to use in the virtual machines in the /vz/template/cache directory. You can download one from http://wiki.openvz.org/Download/template/precreated. You can create this configuration file manually instead of using the OpenVZ userspace tools as well. # Upgraded /var/lib/vz from ext3 to ext4 with extents, as this is a requirement for ploop to work. root@db-566424-1:~# ssh dbaas@172.16.255.100 -p16022 "createVolume clusterName=584027-cl volumeName=ploop_volume thinProvision=0 output=XML size=1GB"
root@db-566424-1:~# ssh dbaas@172.16.255.100 -p16022 "assignVolumeToServer volumeName=ploop_volume serverName=db-566424-1 output=XML"
root@db-566424-1:~# vzctl exec 9999 "mknod /dev/vdb b 8 176"
drwx------ 2 root root 4.0K Jan 26 16:26 .
drwxr-xr-x 3 root root 4.0K Jan 26 15:59 ..
root@db-566424-1:~# vzctl snapshot 9999 --name snapshot_1 --description "First snapshot"